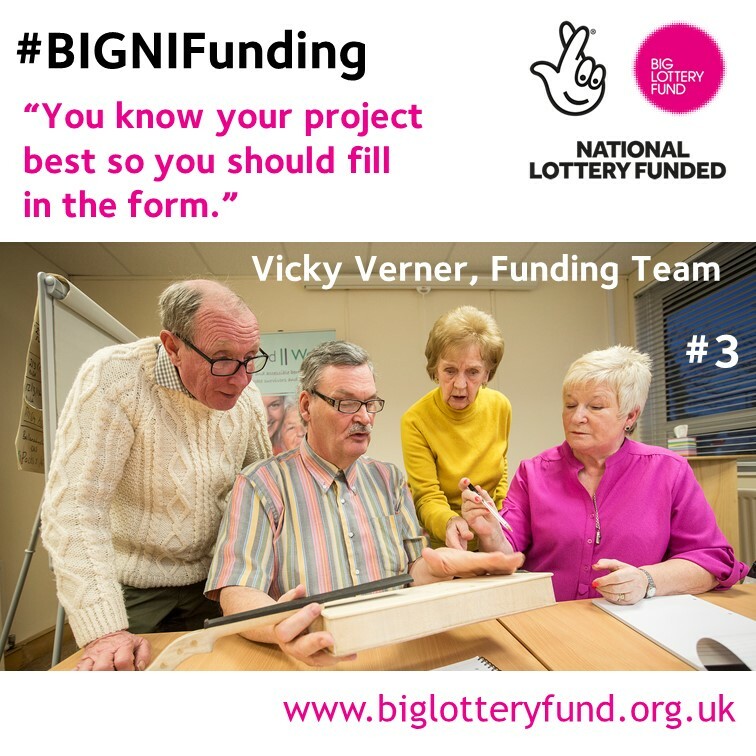 The Big Lottery Fund distributes 40% of National Lottery good causes funding. The groups we fund are transforming communities and making a difference to people’s lives. To help applicants in Northern Ireland, we are sharing advice from our staff and successful projects. 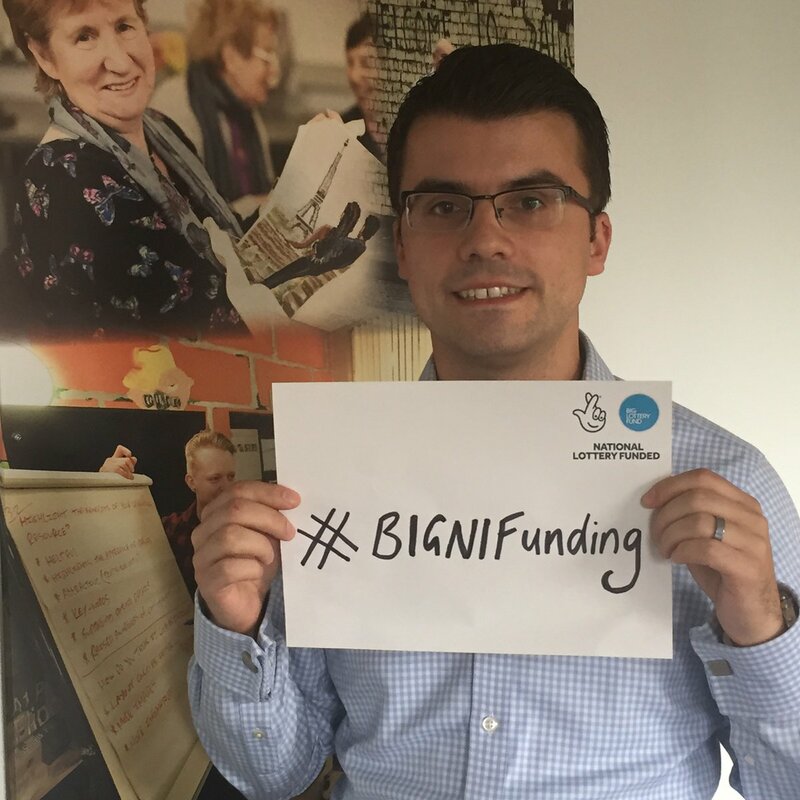 Here is a roundup of ten top tips from our #BIGNIFunding campaign…. 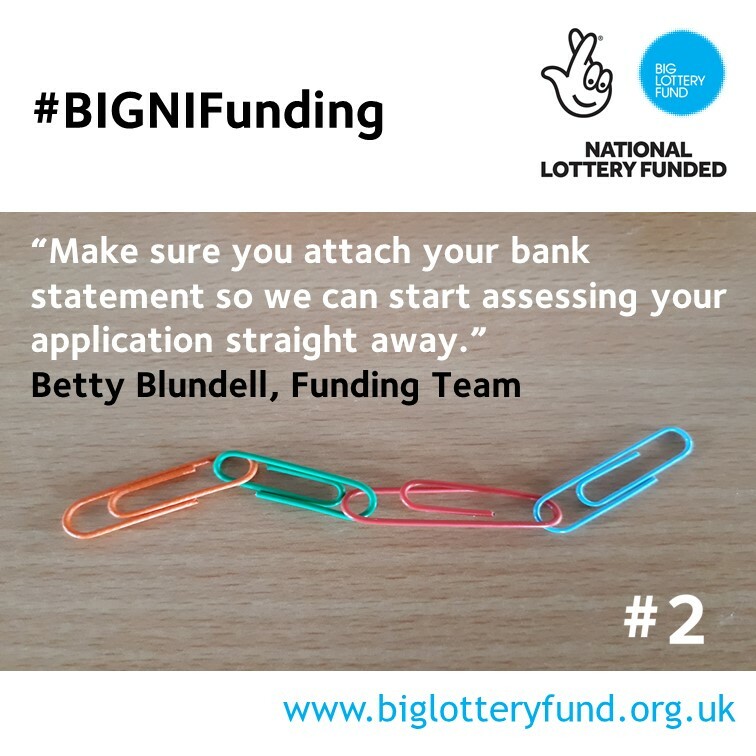 #2 If you are applying to the Awards for All Northern Ireland programme, remember to attach a recent copy of a bank statement for the account the grant will be paid into. #3 You don’t need to pay someone to fill in your form. Contact us if you need help! #4 Talk to other groups in your area and see if you can work together to have the greatest impact. #5 You don’t need to use buzzwords to make your application sound ‘better’. Answer the questions in your own words. #6 Aileen from Off the Streets gives you her advice on putting young people in the lead. #7 This will make you rethink your approach to planning a project – see our people in the lead film. #8 Check out our very quick video guide about the application process for Awards for All. 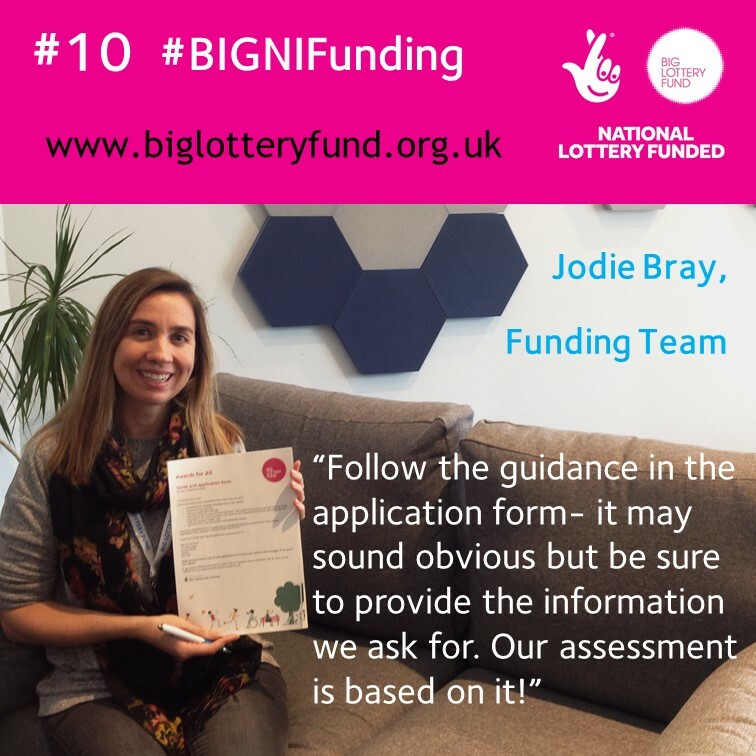 #9 Hear from one of our successful projects about how to approach your #funding application. #10 Read the guidance carefully. Contact us if you need advice. 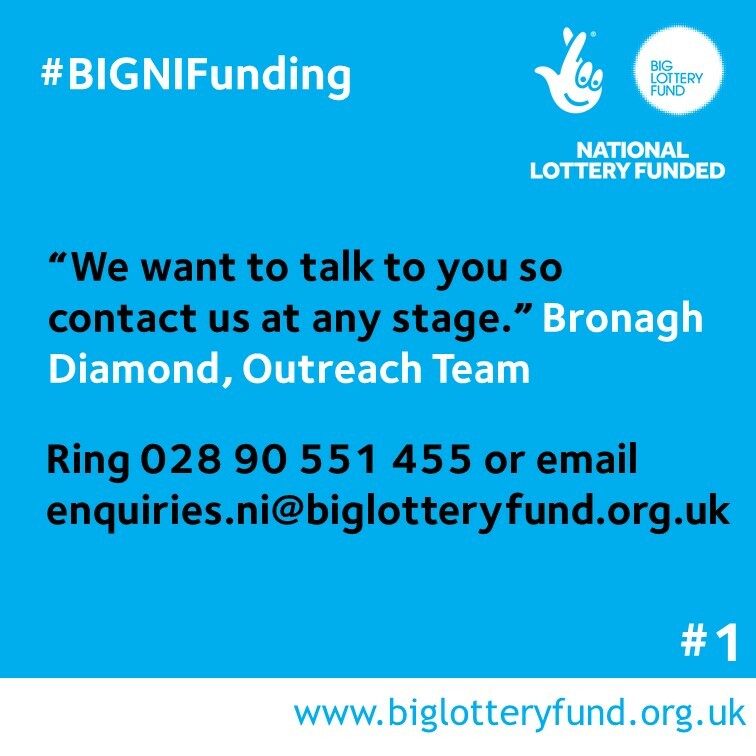 You can contact the Big Lottery Fund advice team in Northern Ireland by emailing enquiries.ni@biglotteryfund.org.uk or telephone 028 90551455 (Monday to Friday, 9am to 5pm). I’m not certain where you’re getting your information, but great topic. I must spend a while finding out more or figuring out more. Thanks for wonderful info I was searching for this info for my mission.